Not too long ago, getting from Phnom Penh to Kampot by bus was a complete headache. Buses detoured to stop in Kep on their way to Kampot, making the trip closer to five hours long. Now, though, there are direct mini-buses from Phnom Penh to Kampot that make the trip in around three hours, and taxis are even faster. 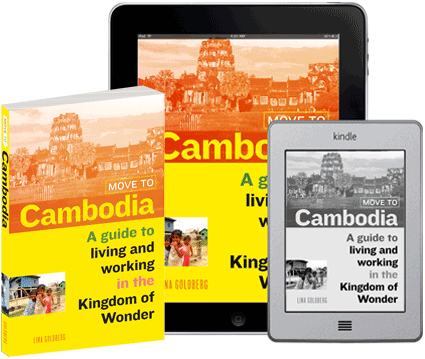 Going from Phnom Penh to Kampot? Here’s how to get there. You can get a taxi from Phnom Penh to Kampot for between $35 and $50, although the prices can rise during public holidays (and that not so public holiday, Chinese New Year). Taxis are generally very clean Toyota Camrys that can seat four passengers. However, most have very little room for baggage, so if you have a lot of baggage, you may want to look into getting a van. Taxi drivers like to affirm their existence by driving as fast as possible and you’ll be able to make the trip in less than three hours. You can book a taxi online in advance, or at any travel agent or guesthouse in Phnom Penh or Kampot, although they will add a surcharge. Larger CRV or SUV taxis cost around $60. They seat four passengers more comfortably than the regular taxis. There are several bus companies that go from Phnom Penh to Kampot, but many stop in Kep first, making the trip a long five hours. Sorya is the major player on this route. They drive older buses that stop in Kep first. They used to be ridiculously cheap, but now at $8.50 per ticket there’s not really much reason to take them over one of the more comfortable mini-vans listed below. 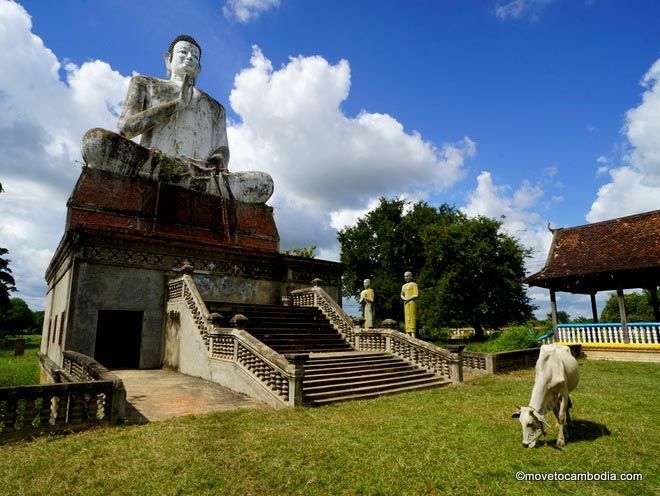 → Check all of the bus options between Phnom Penh and Kampot with BookMeBus. Travel in style with a mini-bus between Phnom Penh and Kampot. Mini-buses are a great option for the trip between Kampot and Phnom Penh. There are several companies that do this route, the primary ones being Giant Ibis and Kampot Express. Giant Ibis are a tourist-oriented bus company that places a huge priority on safety. 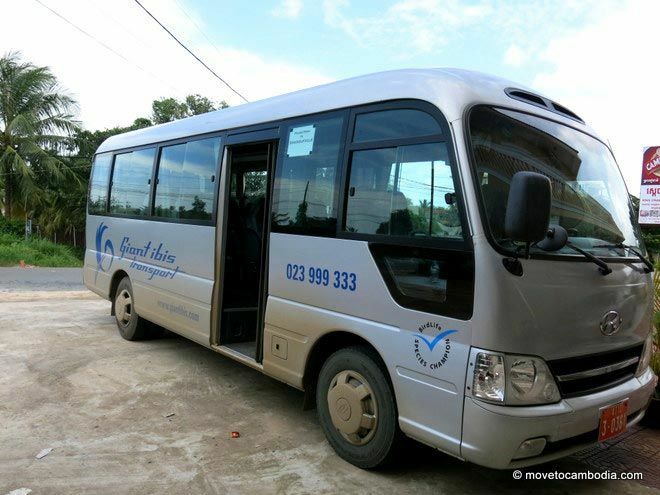 They run 21-seat mini-buses and tickets cost $9 for all passengers and full review of the Giant Ibis service between Kampot and Phnom Penh, including photos and seating tips. The trip takes about two-and-a-half hours. Kampot – Phnom Penh: 8:30 a.m., 2:45 p.m.
Kampot Express is another popular mini-bus, with tickets going for $8 for foreigners and $6 for locals. If you get your ticket directly through Kampot Express and make your booking in Khmer, it’s possible you’ll get the local price. Kampot Express uses 15-seat vans and has a ten minute stop along the way. They arrive in less than three hours. You can buy tickets and reserve a seat online with BookMeBus. Phnom Penh – Kampot: 8 a.m., 1 p.m., 16:30 p.m.
Kampot – Phnom Penh: 8 a.m., 1 p.m., 16:30 p.m.
South of the durian roundabout next to Phnom Khev Guesthouse, Kampot. 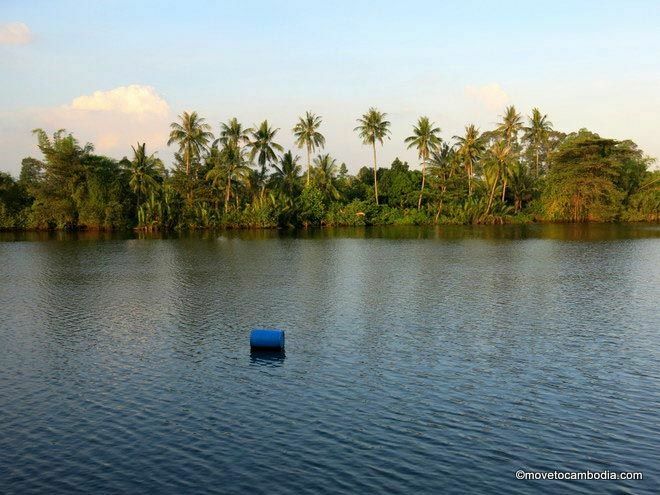 You can always travel between Kampot and Phnom Penh by shared taxi. You can get shared taxis at Psar Dang kor in Phnom Penh. The cost is approximately $5 per person, and the drivers wait until they have enough customers to fill up the taxi like a sardine can. Although the cars are 5-seater Camrys, most will wait for at least seven passengers (plus the driver) before departing. Offer to pay for two spots to take the front seat, otherwise you’ll be squeezed in with three or four others in the backseat. The journey takes 2.5 to 3.5 hours. Cambodia has resurrected some of their old train lines, and it’s now possible to travel by train from Phnom Penh to Kampot on weekends. The trip takes between four and five hours and costs $6. For more details, please see our blog post about taking the train in Cambodia. Bus tickets purchased through links in this post may generate affiliate sales for us. This does not affect our reviews for specific bus companies or routes! For more about how we deal with advertising, affiliate sales, and stuff like that, you can read more here. This entry was posted in Kampot, Transportation and tagged Giant Ibis, Phnom Penh to Kampot, Kampot to Phnom Penh, Kampot Express, Paramount Angkor Express. Bookmark the permalink.